The Florida Highway Patrol has announced that it will be keeping a closer eye on aggressive drivers this summer. The initiative is part of a new safety campaign to educate drivers on the dangers of driving aggressively. During the campaign, FHP troopers are encouraged to give tickets to those drivers who exhibit tailgating, unsafe lane changes, and excessive speed. The hope is to reduce crashes by sharing the road safely and avoiding excessive driving behaviors, according to officials with the FHP. What Are Aggressive Driving Laws in Florida? 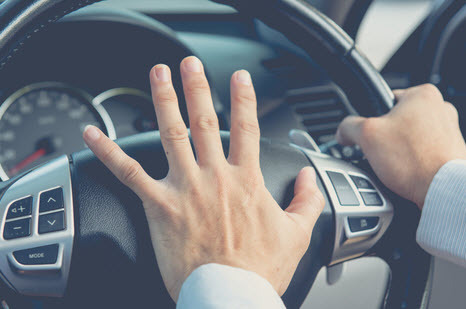 While you may not consider yourself an aggressive driver, you might be surprised to find out that some common driving behaviors are actually considered aggressive driving. Statistics show that some 25 percent of drivers admit to entering an intersection as the traffic signal was turning red. This is considered aggressive driving and can sometimes result in serious injuries and even fatalities. So how do these illegal behaviors affect you if you have been involved in an accident with a driver that was exhibiting reckless driving behaviors? Police officers in Florida check off a special box on the police report indicating that the car accident was the result of aggressive driving. This can be used as evidence if you decide to seek compensation for injuries you sustained in the accident. If your injuries were serious enough to result in a personal injury case, Florida courts will require you to prove that the other driver was negligent, and their behavior caused your injuries. Aggressive driving is considered reckless behavior and clearly qualifies as negligence under Florida laws. This is because a person that is driving aggressively is considered guilty of willfully disregarding the safety of other drivers. In this situation, you may not only be eligible to receive direct compensation such as payment of your medical bills, pain and suffering, and lost wages, but also for punitive damages that are meant to punish the aggressive driver for their reckless behavior. This is above and beyond what you would typically receive for your injuries. If you or your loved one was injured by the negligence of an aggressive driver, the Boca Raton attorneys at the Leifer Law Firm have experience to help you get the compensation that you deserve for your injuries. The last thing you should have to worry about when you should be recovering from your injuries is the financial burden of your accident. Call us today for a consultation.